Cosmetic dentistry is a wonderful way to transform your smile and boost your confidence. At Midtown Dental Care Associates, we specialize in cosmetic dentistry. This means that not only do we focus on the functionality of your teeth and your overall health, but we also pay close attention to the aesthetics of your smile. We want you to have a smile that is every bit as beautiful as it is healthy, and we want you to have the confidence to smile frequently! We blend advanced technology with our expertise to help you visualize, design, and achieve the smile of your dreams. Depending on your needs and desires, we can use a single procedure or a combination approach to transform your smile into the one you have always wanted. Midtown Dental Care Associates provides cosmetic dentistry services in New York, NY. Call 212.685.4730 to learn more and schedule your appointment. Even the healthiest teeth darken and yellow over time. Certain medications, as well as behavioral habits such as drinking coffee, tea or using tobacco, can cause teeth to darken faster than usual, or even lead to staining. 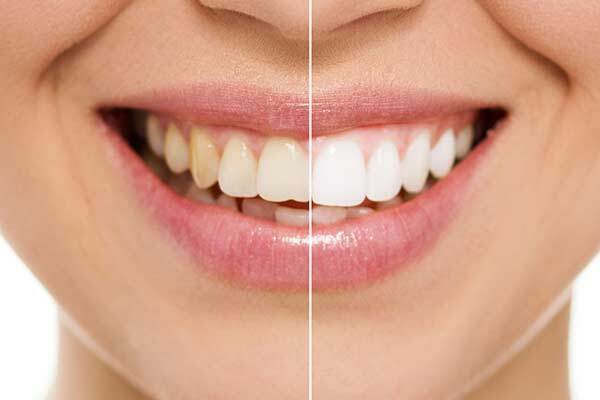 Teeth whitening – or bleaching – can help restore your bright, white smile. Choose in-office bleaching to brighten your teeth in just one session or choose at-home bleaching to use a customized whitening tray every night for a few days in the comfort of your own home. 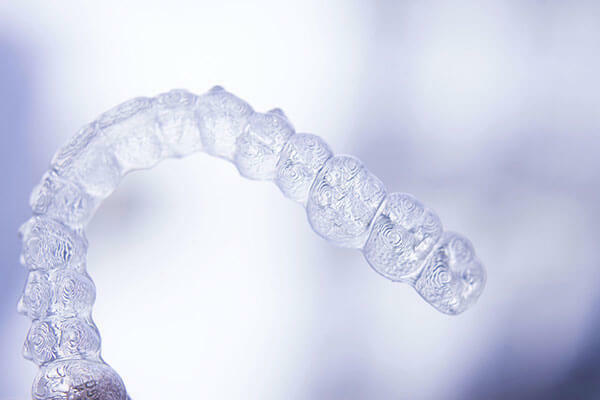 Invisalign® is billed as “the clear alternative to braces.” Using a custom-made series of clear, comfortable, virtually invisible medical grade aligners, you will gently and gradually shift your teeth to the desired position. With no metal brackets or wires, the aligners are far less painful than traditional braces. You will switch aligners every one to two weeks, and see us once every four to six weeks for monitoring. You can remove the aligners for eating, drinking, and oral hygiene, and no one but you needs to know that you are straightening your teeth. 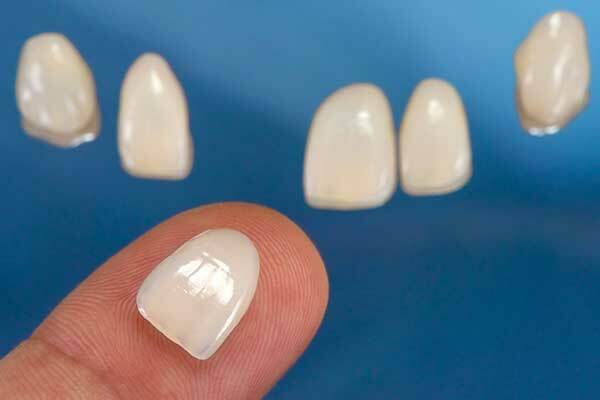 Veneers are thin shells of dental porcelain that fit over your teeth. 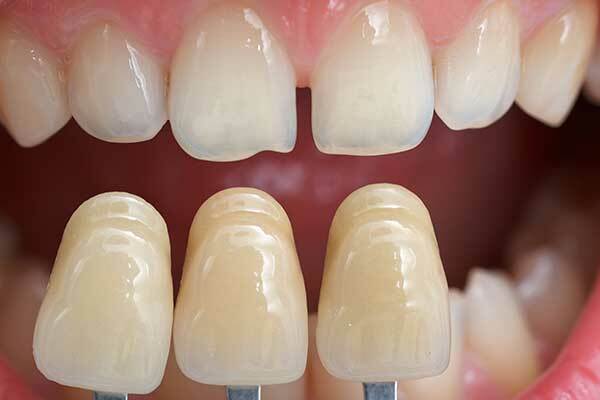 They are designed to closely mimic the look and translucency of natural teeth, and can cover a range of issues from deep staining to chipping and gaps. Porcelain veneers are highly durable and can last for many years with proper care. Cosmetic bonding can be used for filling or restoring teeth and uses a tooth-colored resin material to adjust the tooth’s size, shape, or color. The flexible resin is easy to shape and sculpt, but it dries hard. Cosmetic bonding is less expensive than porcelain veneers, but is not as durable. Still, many people have long-lasting results. Microabrasion removes a very thin layer of tooth enamel. This can remove surface stains, yellowing, and other minor discoloration. It is not appropriate for deep staining or pitting, but can be extremely effective under the right circumstances.